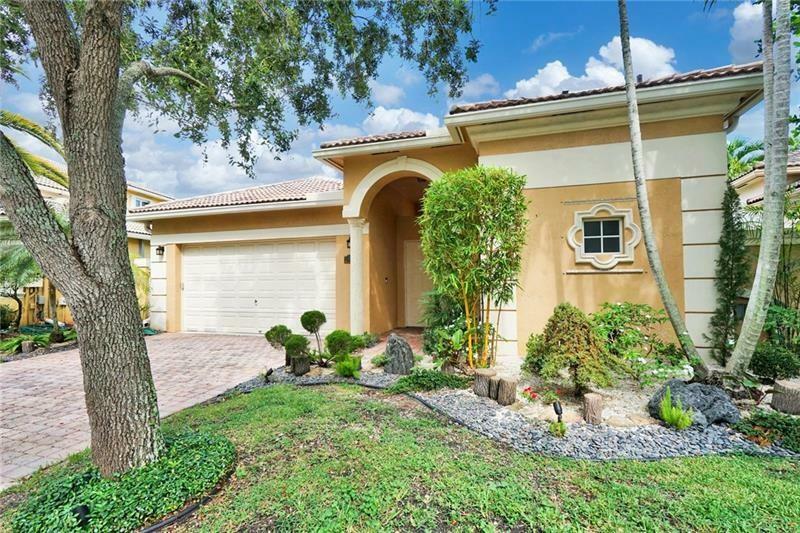 This beautifully landscaped courtyard home in Mizner Village Heron Bay features a lot of technological upgrades, such as Rachio Sprinkler Systems-controls watering by voice commands, remote control blinds throughout, Cool armor screen hurricane system in the back of the house, rest manual(…easier than shutters), nest air system, keyless entry, Samsung refrigerator & new washer/dryer and fans in all rooms. There is also a guest room and bath separate from the main house. The home is ADA complaint. 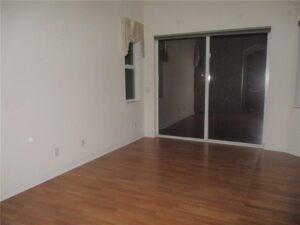 It is in a beautiful gated community with many amenities. This unique courtyard is like a tropical paradise resort in your own yard! There is access to the main house and guest house from the courtyard. There is an addition yard with a patio, grass, and trees adjacent to the living room. The entry leads into the formal dining and living room area. 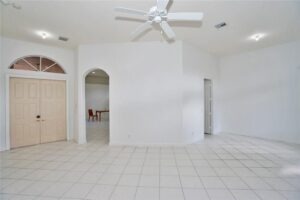 The entire home is very light and bright. Many glass doors and windows allowing natural light throughout. Beautiful new wood floors in the Master bedroom and hallway leading into the master bathroom. Sliding glass door leads out to the pool. Master bathroom has a Roman tub, large shower, wall hung vanities, and separate water closet. 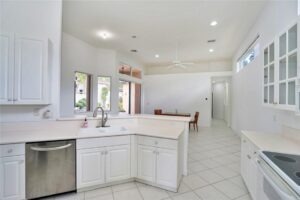 The light cabinetry, counter tops, and floors give this such an open feel. Many windows and doors allow so much natural light in. The long kitchen and breakfast bar lead into the Family room. The guest house is very much like the main house. Light floors, light walls, light cabinets give this a open airy feel. Glass doors lead out to the pool patio for added natural light. The perfect place for a game room or privacy for family and friends to get cozy and sleep when they visit!